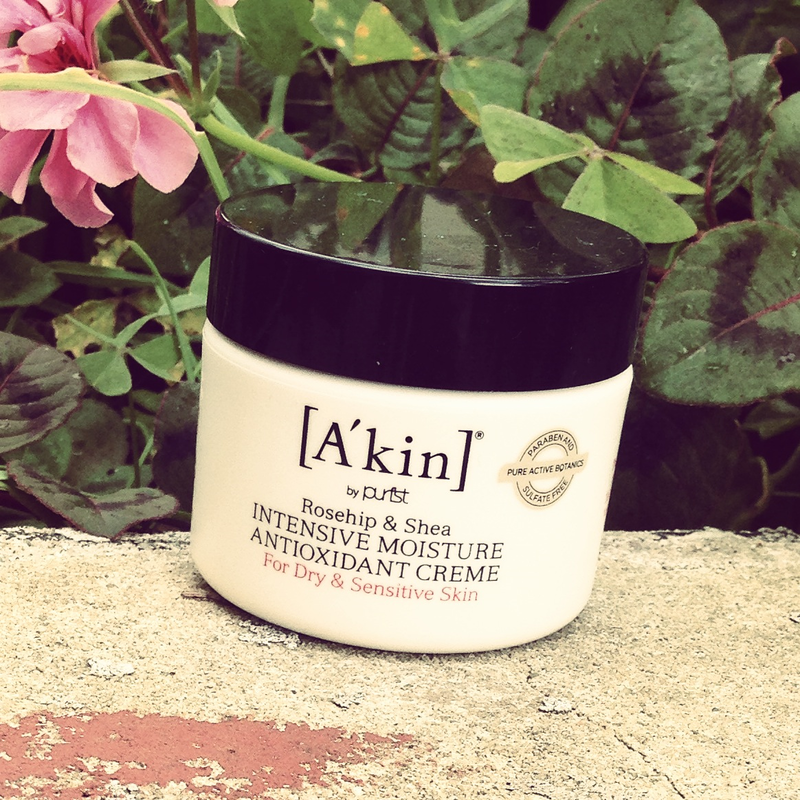 I’d heard so much hype about A’kin’s Radiance Rosehip Oil, and rosehip as an anti-ageing ingredient in general, that when I was looking for a new face cream their Rosehip & Shea Intensive Moisture Antioxidant Creme was high up my list. Ordinarily I’d say no cream, however bold its claims, can turn back time. That said, in the month I’ve been using it my skin has felt smoother and the overall condition has definitely improved. So what’s behind the hype? The ingredients list reads like a who’s who of celebrity oils: jojoba, olive, orange, avocado and rosehip. It’s the last two, rosehip and avocado, that are promoted as the active ingredients. Rosehip is the fruit of the rose plant and is naturally high in essential fatty acids and vitamin C. It’s also meant to be a powerful antioxidant. Team this with vitamin packed avocado oil, rich organic shea butter and calming aloe and you have a luscious face cream, brimming with skin nourishing properties. In terms of application, it’s rich (it’s marketed for mature skins), easily absorbed and has a subtle floral fragrance. And even with dry skin you don’t need much; I’m only half way through after nearly two months of use. Natural credentials: Vegan and cruelty free. No sulphates, parabens, petrochemicals, silicones, mineral oils or artificial colours or fragrance. Available from: Onlynaturals are currently selling it at the reduced price of £21.60.